We hear it over and over again. A famous, seemingly successful person takes her life. Just the other day it was Kate Spade. And every time we’re shocked and try to figure out what on earth led her to that decision. It surely couldn’t have been a lack of money. What about a lack of true happiness? Seemingly one of the hardest things to achieve in life is finding real happiness. Thanks to King Solomon we found out that true happiness is rooted in our unity with Christ. But even as a Christian, we face challenges that leave us tired and hopeless at times. That’s why today I’m sharing with you 10 powerful ways to find true happiness. There are three types of health. Physical health, mental health, and spiritual health. Most of us put the highest priority on the physical part by eating healthy and working out. We don’t spend nearly as much time or effort on our spiritual- and mental health, which can both do great harm. When you’re spiritually healthy and spend time with God, you are filled with the holy spirit who guides and leads you. He becomes lord over your emotions, so that no challenge or pain may ever knock you out. You learn to be balanced and content. That has an effect on your mental health. Which now blooms because you walk in confidence. You know who God says you are and don’t let any voices but the voice of God talk to you. Depression, anxiety, and fear have no more space in your brain. Lastly, your outer appearance starts to change. You are aware of the importance of your health to God, because of the plan he has for your life. You enjoy treating your body right because you want to make sure that you can run the race to the end. Your awareness about your purpose excites and motivates you, which gives you a glow that people notice. Make loving yourself a priority. Start by spending time with the one who created you and rejoice in his purpose for your life. I know we say that a lot and it’s not always easy to be grateful. Especially if we face challenges and it seems like our life is spiraling out of control. But no matter what it is you are facing, the mere fact that you have breath to complain about it might be more than what other people have. Too often we focus on the things that we long for and are currently missing instead of acknowledging the riches God has blessed us with. Health, food, and family are often things we take for granted and fail to appreciate on a daily basis. Be grateful for what you do have and focus your mind on all the good things in your life. Start a gratitude journal in which you list all your blessings in detail. This will help you remember the blessings in a time where you feel like they are falling short. Out of the 10 powerful ways to find true happiness, this one is probably the most important one for our generation. I’ve said it before and I will say it again: “Comparison is the thief of Joy”, so be yourself. Take possession of that sweet spot of being the crazy, fun and unique personality only you can be. Each one of us was beautifully and wonderfully made by a detail-oriented creator who rejoices in your presence. Don’t rob the world of it, by imitating another unique and beautiful person in the hopes of echoing their success story. Instead, understand that God created the one you to take hold of the one purpose only you can fulfill. 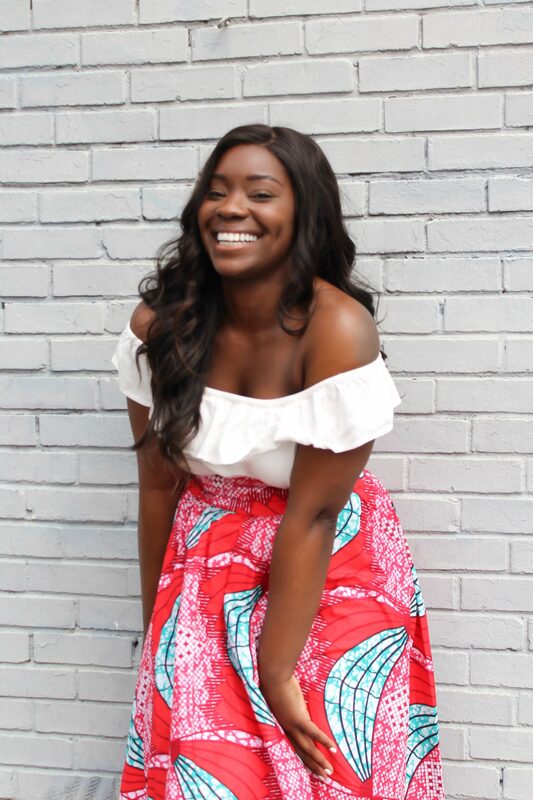 When you decide to be unapologetically you and live the life that feels right to you, you’ll be able to tap into a whole new level of happiness. A happiness rooted in freedom and acceptance. Have you ever prayed for something and the moment you get it, you are already on to pray for the next thing? A lot of times we tend to forget to enjoy the moment we have been granted. Maybe it’s the extra free time you now possess because one of your best friends moved away. Maybe it’s your prayer for more patience because you started a new job. Rejoice in the moment, however hard the situation might be, because at one point you’re prayed for it. In the past, I discovered that whenever God puts my life on pause, it means that there is something I need to take care of in this moment. It means that there is an unfinished assignment which I need to get to the next level. Learning to love yourself is a skill, that holds immense power. It teaches you to consider yourself as valuable. And makes you understand that taking care of your own well-being should be a priority on your list. Practicing self-love isn’t limited to your physical appearance, but includes all of you. 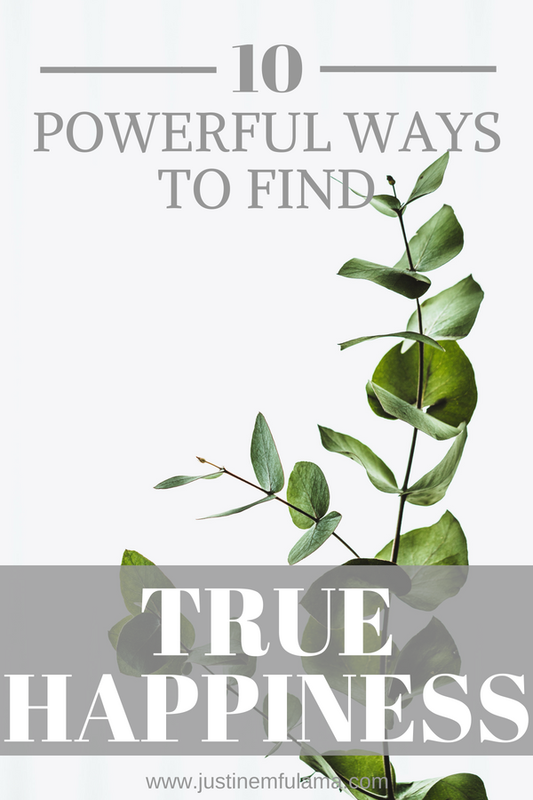 It means identifying and accepting your strengths and weaknesses, having compassion for yourself (struggles and shortcomings included) and becoming more centered in your values and purpose. There are different ways you can practice self-love. Even though these might seem like small activities, they are powerful ways to stay strong, centered, and moving forward in your life. Practicing self-love helps you to see the beauty in your life and create your own happiness each day no matter what. Practicing self-love is one of my favorite powerful ways to find true happiness. Contrary to what a lot of young people think, finding your purpose doesn’t mean that you have to become a rock star, build your own business or serve in the military. It simply means you have to find out what your ultimate goal in life is as appointed by God. A goal that doesn’t just serve yourself, but others and ultimately changes the lives of people around you. It could be your family, your co-workers, or hundreds of people online. Whatever it is, it is your great mission on this earth. Finding your purpose has an immense effect on your happiness because it is the answer to your search for personal meaning. So true and yet we do it all the time. The moment we face adversity, we try to figure out the 99 possible outcomes to one problem. And all this preferably before we know the exact reason or cause for our problem. Instead of being restless and stressed, choose to keep the peace, by controlling your emotions and looking for practical solutions. Worrying just as happiness is a choice, so choose right. That brings me to the next point, which is being optimistic. Whenever you feel like everything is going wrong, don’t get lost in negativity. Because the thoughts we think and the words we speak are powerful. They change our mood, but also our actions. And of a good mind! What is a good mind? It’s a mind that is positive, uplifting and joyful. And thanks to the holy spirit for who lives in us we are all equipped with such a mind. Allow Christ to do his work in your heart and mind, by trusting his plan for your life and accepting that his plans are good. The truth is I really fail at this one myself! It’s easy for me to get tangled up in things and commit to projects and events even if I’m already at capacity. Why? Because I oftentimes feel like I have to say yes to things as that is the Christian thing to say. Take a break to unwind: Make it a habit to save one day out of the week for yourself to relax and recharge. Try to unplug by switching off your phone, laptop, and other mobile devices. Prioritize: Finding balance isn’t about doing it all, but about identifying what is important and deciding how much time you are called to invest in it. Pray before you Plan: The only wait to find peace in saying no is by asking God to show you what he wants you to do. Incorporate him in your daily decisions and he will give you peace about it. Remember that only a fully filled cup can overflow. Riches, come and go, people will love you, then hate you and life will be unfair at times. But God is always good! Even though he uses your seasons of difficulty to grow you spiritually, that is not his only goal for you. When we look at God’s word we see that he desires to bring us joy and happiness. Because he is a God of love and cares for you. We can trust in God’s promise and need only to adjust our perspective. Because what seems like temporarily happiness defined by our culture is not the eternal happiness and blessing God has planned for us. 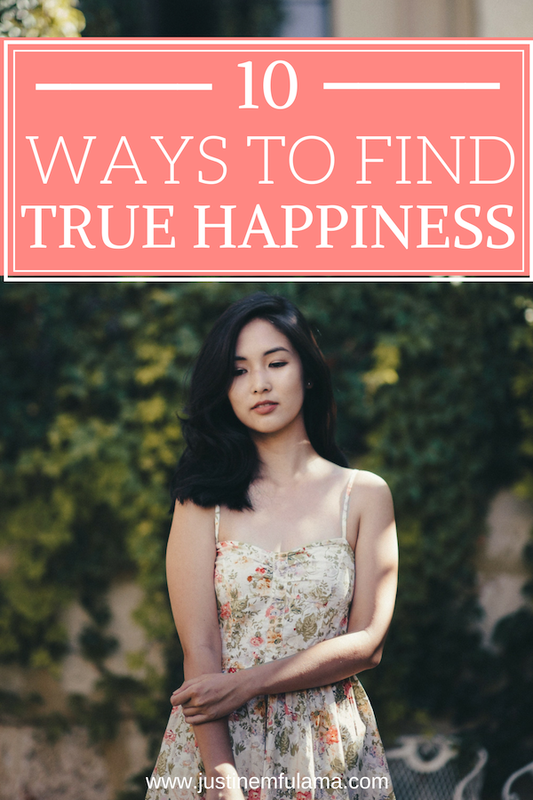 What powerful ways to find true happiness do you use? Share them BELOW!